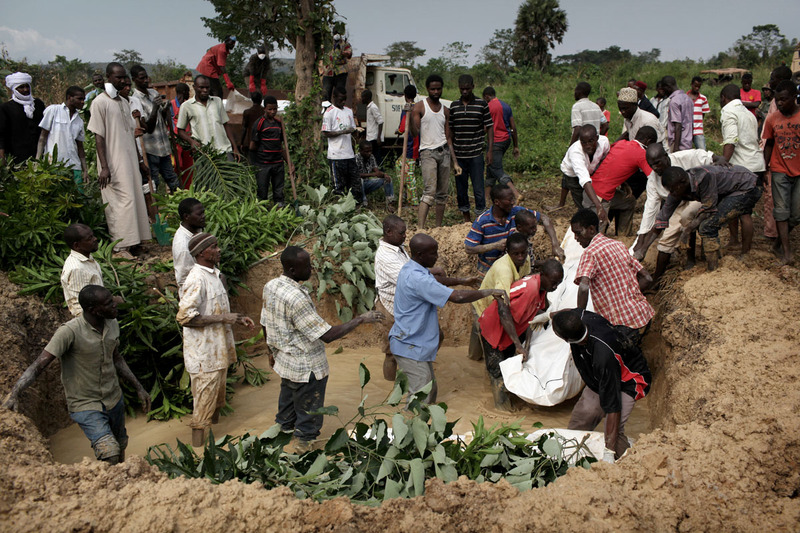 Muslim people bury in a mass funeral the bodies killed during the last days of fighting. Chadian soldiers had to protect them on the road between the mosque and the Muslims bury in mass brothers killed during the last days of fighting. They have recourse to Chadian soldiers to protect them on the road between the mosque and the cemetery following ab anti balaka attack few days before.